Every minute, more than 300 hours of video are uploaded to YouTube. Almost 5 billion videos are viewed each day. For those just breaking into the YouTube game, it can be more than a little intimidating. If you want your video to get views, you need it to rank well on YouTube. If you want to get a lot of views, you need your video to rank well on Google as well. In fact, statistics show that the top ranked site on Google receives 33 percent of traffic for that particular search. If you’re trying to figure out how to rank YouTube videos on Google, those numbers add up to plenty of competition. Simply creating a video and uploading it to YouTube isn’t enough. There are many details you need to take into consideration. You need an impressive video that viewers will be interested in. You need enough engaging content to keep viewers watching to the end. You need a call to action that prompts viewers to visit your website. But the work doesn’t stop once you’ve created the actual video. You need keywords and effective descriptions, proper uploads, custom thumbnails, and more if you want your video to rank well on YouTube, and, in turn, on Google. If you’re ready to dive in to creating your own video, read on to learn how to rank YouTube videos on Google. Figuring out how to rank YouTube videos on Google also means learning to rank videos on YouTube first. YouTube used to rank videos solely based on the number of views they had. Now, the ranking has to do with several details. Those include the number of seconds the video is viewed, the number of likes and comments, and how many times it has been shared. When the number of views was the only factor, short videos ranked best. They could be viewed quickly, and when they were passed on, recipients were more likely to watch them. But with the new system for ranking videos, short videos are no longer the most effective. Without much substance, short videos don’t generate the strong response a longer, more in-depth article would. Additionally, the number of seconds being viewed is much shorter. Aim for videos that are at least a minute long. But if you have enough information that you’d like to get across to viewers, it can be much longer. Unless you are creating a tutorial, though, keep it under five minutes or viewers may lose interest. The length of your video isn’t nearly as important as the content when it comes to how to rank YouTube videos on Google. It’s important to pack as much engaging, entertaining content into your 60 second-plus video as possible. Try to include content that gets your viewer personally interested. This will help prompt them to like or comment on your video. To make sure that viewers keep watching long enough to figure out what you video is all about, start with something catchy. Open with a joke, an interesting catch-line, eye-catching video, or popular music. But don’t stop there. The rest of your video should be choked full of information or entertainment to keep your viewers watching. Remember that part of the system for ranking YouTube videos is the number of seconds watched. Don’t include a lot of down time in your videos. Keep the information flowing, and end your video when it stops. 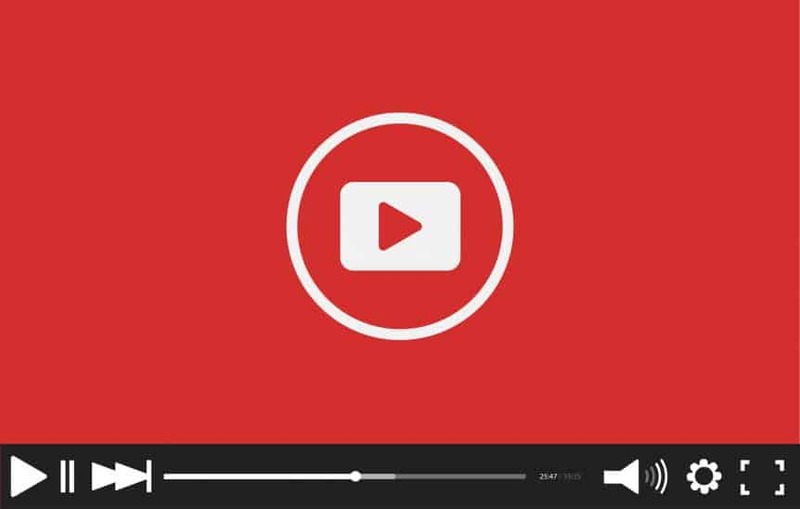 If that information lasts longer than a minute or two, you’ll need to consider video angle. For instance, a one-minute video of you talking directly to the camera may be okay. But a five-minute video with the same view would not be effective. In longer videos, mix up your viewing angle, add in slideshows or shorter video segments, or have several people presenting information to keep viewers interested. Finally, don’t forget a call to action. After all, you are creating a video to generate interest in your website, company, or social media presence. Once you’ve created your outstanding video, it’s time to really focus on the details of how to rank YouTube videos on Google. Start with finding a title that will rank well on search engines. You’ll need to create a title that not only accurately describes your video, but one that also will help your video show up near the top of Google’s search results when a potential viewer runs a search. If you’re wondering how to rank YouTube videos on Google, you might also be wondering if you need the word “video” in the title. The answer is definitely no. But there are certain keywords that you can use to help your video rank on Google. Just as keywords can help your website rank well for SEO, keywords can help your video rank well on Google. To find these keywords, start by searching for videos on similar subjects. Think about what you type in when you try to find these videos. You can also scroll to the bottom of the list of Google search results to find similar searches. Besides specific keywords for videos similar to the one you’re making, there are some major keywords you can use as well. When Google sees keywords like “How to-,” “Reviews,” or “Tutorials,” it will often generate video responses. Use at least one sequence of keywords in your title. But save other similar keywords to use in your video description. Those keywords that you saved during your search for the right title will come in handy when writing your video description as well. One of the best ways to master how to rank YouTube videos on Google is to master the video description. While it’s a good idea to start by looking at descriptions on videos similar to yours for inspiration, don’t copy them. Google hates any time that content is duplicated, and it will affect your video’s ranking. Try to use several of those keywords from your list, but don’t duplicate any of them. You also don’t want to use so many that it looks like spam. Include a variation of the keyword that you used in your title. Aim to make your description around 200 words long. This gives your viewer enough of a summary to get them interested, but not so much that they move on without reading it. It’s also a great idea to include a link in the description of your video. When you give your call to action in your video, you can mention that there is a link to your website in the description. This allows viewers to immediately rise to your call to action and visit your site. As soon as you upload your first YouTube video, you should create your own channel, or a channel for your business or website. While it won’t affect how your YouTube video ranks on Google initially, once you add more videos, a channel can be a big boost. When a viewer watches your video and gets interested in your message, they may look to see if you have more content online. They could follow your call to action and check your website to learn more about you or your company. But before they do that, they’ll probably check to see if you have any more videos on YouTube. If you have a channel, you’ll be giving viewers the chance to check out more of your content. After they have watched a couple of videos, they’ll be much more likely to click on your link and visit your site. Additionally, viewers can subscribe to your channel. When they subscribe, they’ll be notified whenever you upload a new video. Loyal viewers will continue checking out your new content, and hopefully share it with friends. Repeat viewers make for loyal customers. Continue providing high-quality, interesting content, and you can be sure that they will keep coming back for more. Are These Tips All You Need To Know About How to Rank YouTube Videos on Google? How to rank YouTube videos on Google isn’t always an exact science. Some video subjects are more popular than others and will prompt more views. Some topics are so popular that there are thousands, if not millions of videos on the same subject, making it tough to rank. If you find that even after using all of these tips your video still isn’t ranking well, consider narrowing your topic. Think about whether there is a niche related to your larger topic that you could focus on instead. To beat the competition, offer viewers something unique. A unique take on a topic, an interesting tip or strategy, or even just exciting footage can all help you stand out. Another reason why your video isn’t ranking well could be the quality. If you’re new to video production, you may be missing out on some strategies that could help your video gain far more views. Rather than spending hours of time learning how to create better videos or investing in better equipment, you might consider bringing in a professional. They can help you create more effective videos. A great video, along with the other ranking strategies you’ve learned, can help ensure that your next YouTube video ranks well on Google.